People complain big-time about business meetings. It’s not because meetings are bad, but because they are poorly done. Unless someone takes the time to plan out what is going to happen, you’re likely to get a time-guzzling, snore-filled waste of time. Knowing how to run a meeting is an important part of leadership, and a skill that can be learned. Here are my five tips for improving your meetings. Improve Your Planning. This is the first and most important skill in conducting a meeting, because if you don’t get this one right, following the other four tips can still produce a snore-fest. Planning covers a lot of areas. What is the purpose of the meeting? (To inform? To persuade? To gather information? To decide on a policy?) The purpose will determine a lot of your subsequent activities. Another bit of planning involves deciding who should attend: Only those who really need to be there, and leave out those you just want to impress. Also, you need to figure out if participants need to do some homework (bring sales figures, budget reports, etc.) before attending. Communicate these decisions in advance, particularly if attendees have homework to do. Prepare an Agenda. This creates a record, and lets people know what to expect in advance and during the meeting. You can use it to get the meeting back on track if it goes off the rails, as meetings sometimes do. Keep Track of Timing. People should know when the meeting is going to start, when it’s going to end, and when breaks will be. You shouldn’t go any longer than 90 minutes without some sort of break, even if it’s just taking a minute or two (5 at the most) to get up and stretch. People start to drift off mentally (and sometimes physically!) after about 90 minutes. Timing also involves starting on time and ending on time. Waiting for latecomers annoys the people who arrived on time, and sends the message that your meetings never start on time. All this does is encourage tardiness. Ending on time is just as important. Develop the Art of Facilitation. This means making people feel welcome, encouraging participation, making sure all the purposes (information gathering or dissemination, brainstorming, etc.) of the meeting are met. 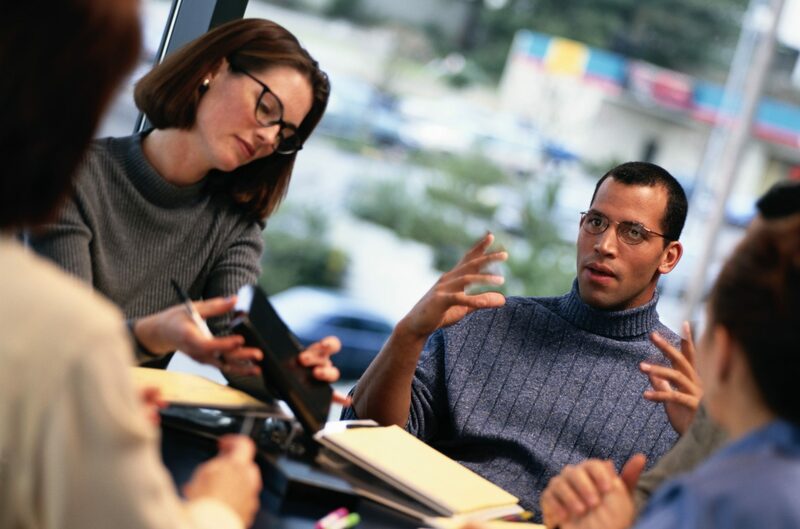 Facilitation isn’t as easy as some may think, and yet it’s critical to the meeting’s success. Follow-up. Lack of this causes lots of problems for leaders. Follow-up includes making sure that assignments (if any) are made, and that you hold people responsible for completing their assignments, and completing them on time. It also means sending out a meeting summary that captures what was agreed upon at the meeting. This eliminates any confusion, such as, “Did we really agree to fire Joe? Or was it Sue?” If your summary is wrong, people will let you know. Effective meetings may not be the most glamorous topic in the leadership world, but add up all the time you and your people spend in various meetings, you’d have to agree it’s a darned important one. Taking some time to prepare before the meeting will wind up saving everyone a lot of time, boost productivity and maybe even improve morale a little bit. After all, you don’t want people complaining about YOUR meetings. And what if you agree with everything I’ve said, but someone else is running the meeting in question? Send a copy of this article, and simply suggest that these are ideas that might improve that person’s meetings. Have you taken a hard look at your own meetings? Have you asked people what they think of your meetings? If you haven’t, how will you ever improve? Terry Wall is president of T.G. Wall Management Consulting in Washington Township.